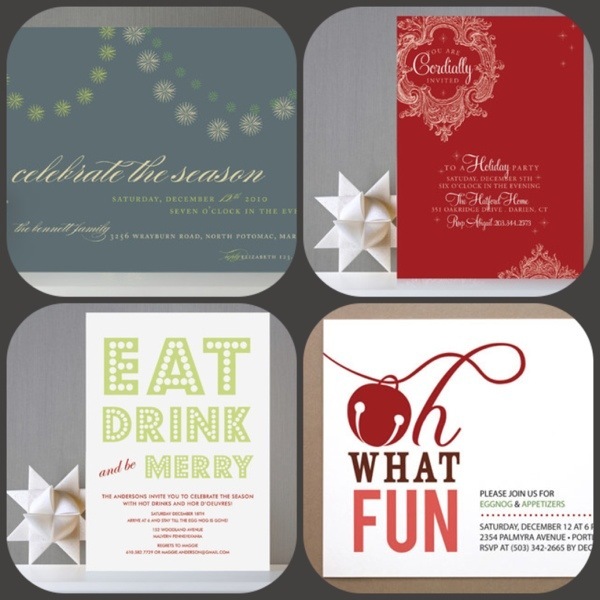 As the holiday season gets into full swing, party invitations are sure to follow. As an event planner, I am always appreciative of a prompt RSVP. I also understand, and have been admittedly guilty of, the delayed response. So I thought that a quick “RSVP etiquette” refresher would be helpful for all of us…myself included. Happy Holiday Party Season! 1. Invite Received: Always wait a couple of days before you respond to make sure your calendar is clear. I have often found myself replying and then later realizing that I already had a previous commitment. 2. Plan of Action: If you have more than one holiday party to attend in an evening and plan on attending multiple events, provide your host(s) with a “heads-up”. It will be appreciated when the time comes to switch venues. 3.Change of Plans: You have accepted an invite and then something comes up at the last minute making it so you won’t be able to attend. NEVER be a “no-show.” Instead, call or text–even if at the last minute—and let your host know. 4.The forgotten RSVP: You totally forgot to respond to an invitation, but later realize that you can attend at the last minute. NEVER show up to a party unannounced. Fess up and call your host–let them know your mistake and make sure they are ready for the addition. With limited holiday weekends, there is always times that I have multiple parties in one evening. I think tip #2 is so important!